Recording store receipts in QuickBooks helps you keep track of your revenues, cash flow and inventory information. 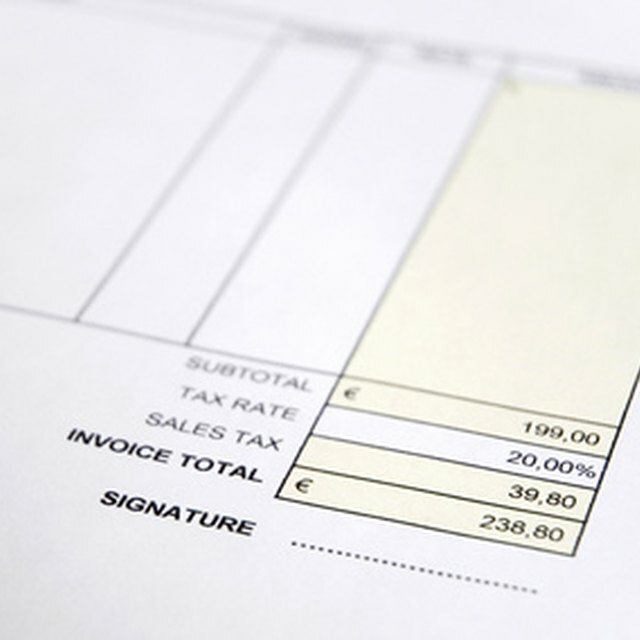 There are two ways to enter store receipts into QuickBooks. For infrequent, major purchases, you can enter sales receipts one at a time. If you have a large quantity of small transactions, you can enter store receipts using a daily sales summary. Navigate to the Customers menu and select Enter Sales Receipts. Under customer name, type the name of the customer who made the purchase. Indicate the inventory item name and the item cost for each product purchased. If you track purchases by class, choose a class for each inventory item. Indicate the method of payment and enter a memo if necessary. If you've already deposited the cash, select Deposit to and indicate the bank account the receipt was deposited to. Otherwise, select Group With Other Undeposited Funds. Print out a register tape of all the sales made for the day. In QuickBooks, navigate to the Customers Menu and select Enter Sales Receipts. In the drop-down menu, choose Daily Sales Summary. Type Register Summary in the customer field. Enter the dollar amount for the first line item on your register tape. In separate lines, repeat this process for each register transaction. For each payment method -- like cash, check or credit card -- enter the total amount of sales made using that method. If you've already deposited the cash from the receipts, select Deposit to and indicate the bank account the cash was deposited to. Otherwise, select Group With Other Undeposited Funds.